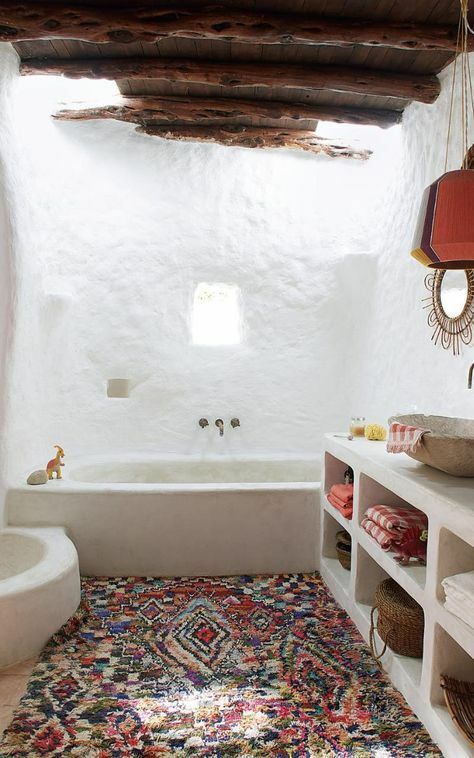 I’ve put together a little gallery of carpeted bathroom inspiration for you: which is your favourite? 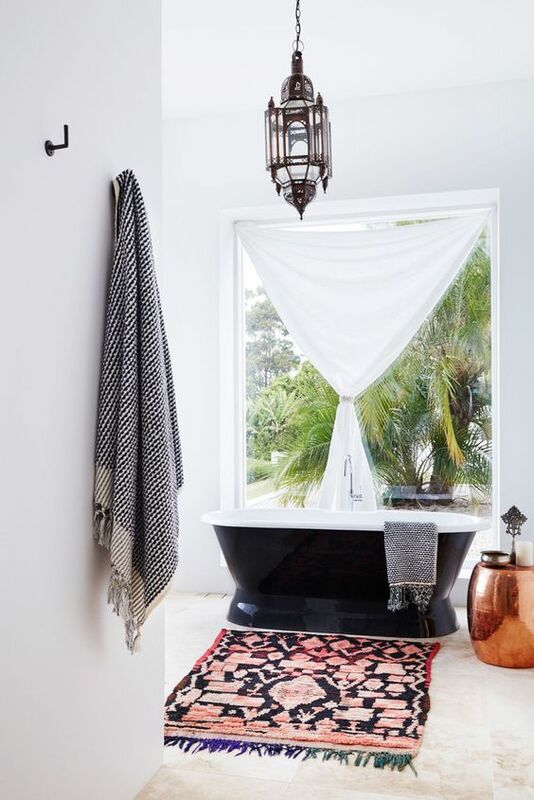 Below is another Boucherouite that adds a wonderful splash of colour to this bathroom, as well as a little co-ordinated drama leading up to this black bath. 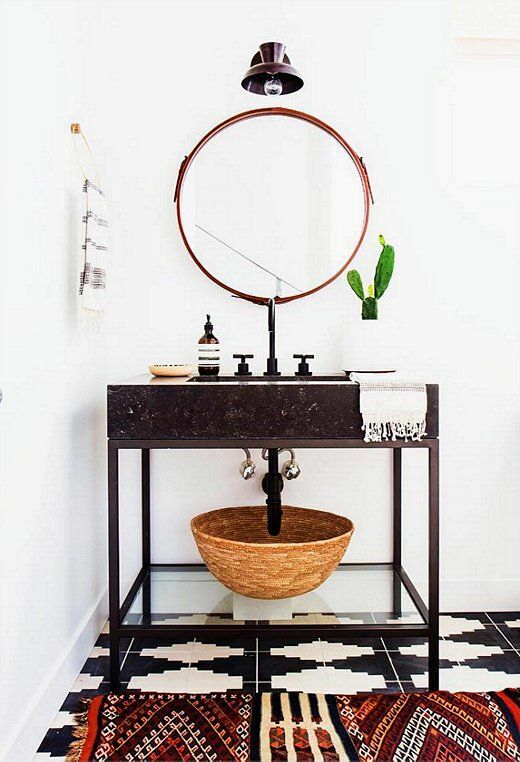 Pattern on pattern – carpet on tile – it all works! 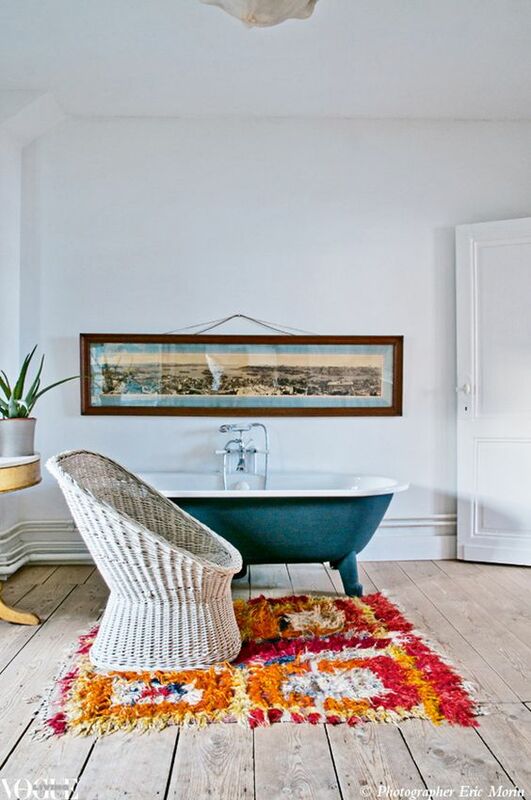 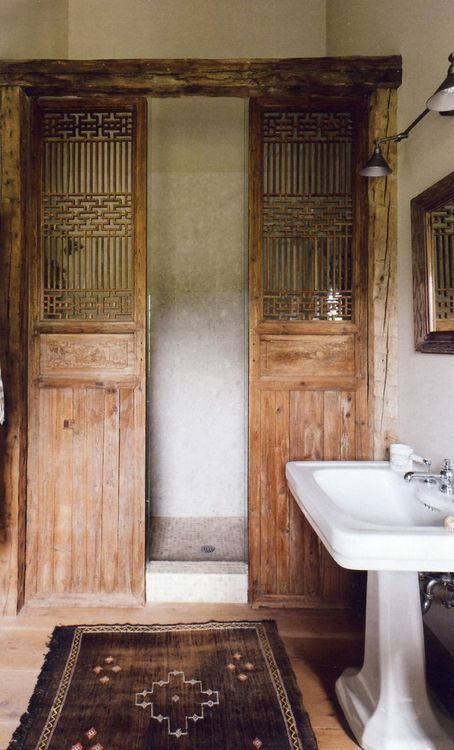 And finally – these organic cactus-silk carpets are top of my list at the moment – because they are a flat weave and cotton mix they are also hard wearing and quick to dry out if they get a few splashes from that shower behind those beautiful wooden doors.